Startup news initiative Newsadoo is aiming to help readers receive personalised news outside of their filter bubble, while offering publishers a new digital business model. "In your daily news consumption, you are confronted with thousands of news stories and messages," said Johannes Knierzinger, head of partner management, Newsadoo, speaking at the Pitching Days - Startup Catapult London 2018 event at Advantage Austria yesterday (28 November). "If I asked you what the last news story you read, I'm pretty sure you wouldn't be able to tell me the publisher or headline. "But if audiences were given the right amount of news and the most relevant information for them, publishers would get back the attention." The tool was financed by the founders themselves alongside a grant from the Austrian Research Promotion Agency. It is described as a 'personal digital daily newspaper' which uses artificial intelligence to analyse both content and reader's behaviour. Natural language processing extracts information from the content, such as the context, topic and style of an article. This is then matched with the user behaviour using machine learning algorithms. The Austrian-based team want to provide users with news that interests and concerns them, but also with the information that moves and motivates other people. It also serves to promote diversity and collaboration between European publishers. "There is competition between publishers, but the real competition is between the publishers and the other apps installed on the devices – Facebook, Youtube, Google etc," he said. "We don't want to give users thousands of messages a day, we are aiming to give them relevant content that they want to see." Newsadoo can be accessed via a desktop computer, the app available on iOS or Android devices, or as a flash briefing on the Amazon Alexa smart speaker. Users choose up to five key news sources that they wish to update them as a priority, while following other sources related to topics that interest them. Information within the tool is bundled, so once a user finishes reading an article, they are able to move on to constant flow of content on the same topic from other publishers – like the Spotify equivalent for news. Articles can be searched for by topic, shared or bookmarked, Knierzinger explained, encouraging audiences to read news from many different sources and perspectives. 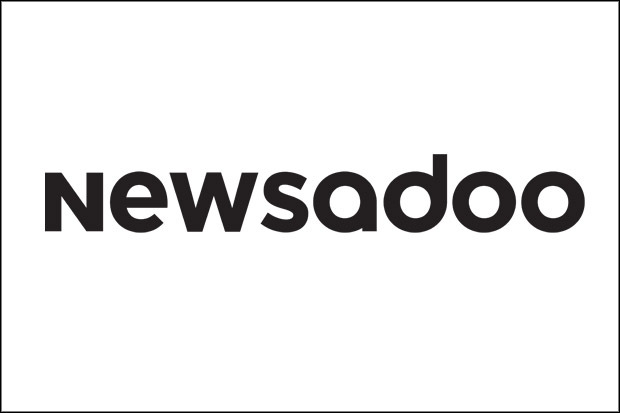 In a bid to tackle disinformation, the team of 20 at Newsadoo are aiming to ensure they only partner with 'quality' news organisations, who will receive a profit share from the app's income. Users can currently download a free beta-version of the app, but Newsadoo will also be rolling out a subscription model to access content behind media paywalls. This will include a flat-rate tier of £4.99 a month, or a self-priced option. "News outlets get 60 per cent of the share at the moment, but we are constantly reviewing this," he said. "It is a publisher-driven initiative – publishers work together in one system where the competition is between the publishers, not with Facebook." Knierzinger said the tool will be available for the UK market in the next few weeks, and will be in direct contact with publishers at numerous events in Europe over the next few weeks.